From a few small changes to a complete remodel, the bathroom in your Toronto home will be looking better than ever after our team is done. Whether you're looking for recommendations of little adjustments, like a new sink or bathtub, or you're in the market for a total overhaul of the room, The Construction Group has the experience and list of satisfied customers to get the job done. Our staff does more than swing hammers and apply coats of paint—we have an eye for detail that will lift your bathroom from a boring, wasted space to something that's visually interesting and enjoyable to spend time in. With a tradition of finding creative ways to maximize small spaces, and of taking advantage of larger bathrooms to do truly unique things, the talented team at The Construction Group has earned a reputation in Toronto for one of a kind, stunning remodeling work. Your whole house sends a message about who you are, and what your tastes are, so it's essential that all the rooms, even the bathroom, reflects that. Are you more utilitarian, looking for a pared down, functional space? Do you spend a lot of time primping and preening, but lack the counter and mirror space you need? Whatever your goals are with your bathroom remodeling project, The Construction Group is here to listen, and then to translate your dreams into reality. 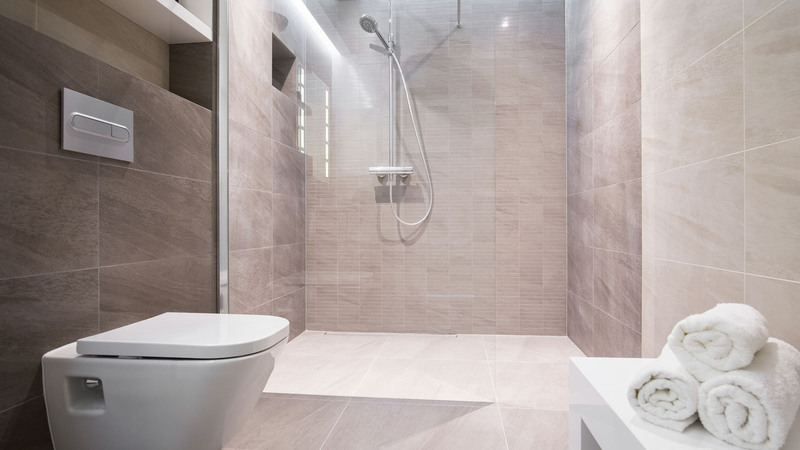 With experienced designers on our staff, whether you have a fully-formed idea of what you'd like your bathroom to look like, or are looking for some help crafting the perfect design, The Construction Group is here to help. For a full-service remodeling company with experience working on bathroom projects of all shapes and sizes, The Construction Group is your one-stop shop for the bathroom of your dreams. Give us a call to get a quote on your Toronto remodeling project today, and transform your bathroom into a space that reflects your personality!